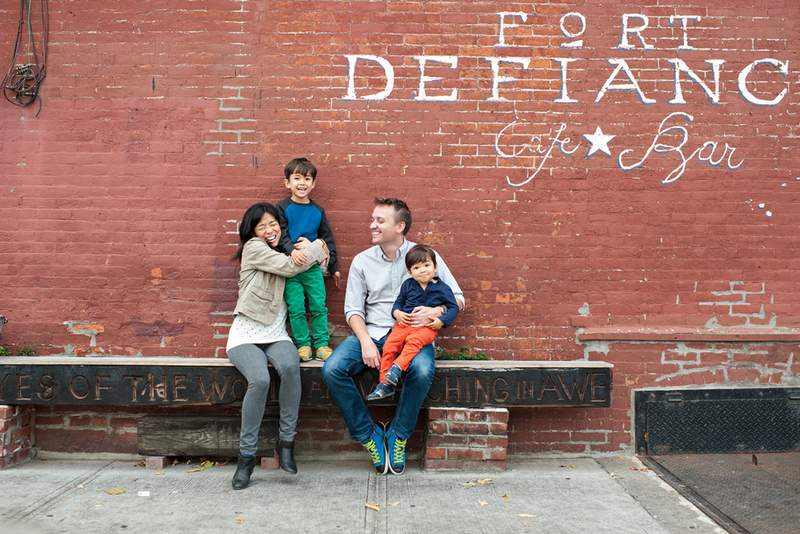 Of Red Hook, or photographing this family. Had a lot of interest for fall minis and squeezed in a second day for waitlisted families. Thank you all so much for your support!! Next year I will probably only have room for one day both in the spring and the fall. That's 8 sessions each, 16 sessions total for the year. Want to have the best shot at getting a mini spot? Sign up for my email list and be first to know about them. Where should we go hang out with our 6 month old twins? Red Hook of course! There's this place tucked behind an Ikea along the Brooklyn waterfront that is equal parts odd and wonderful. I love these little corners of the city that are easily passed by. Thanks for the location suggestion, family! My fourth time photographing this family. Dare I say it keeps getting more fun?